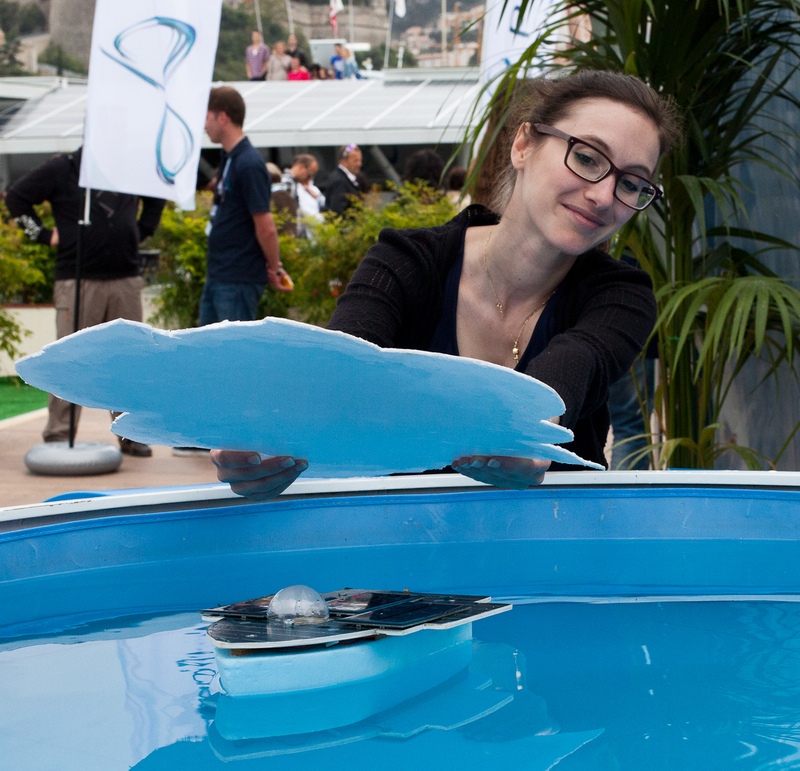 A cut-out cloud is used to demonstrate how solar energy works and when it doesn't - when a cloud passes over. 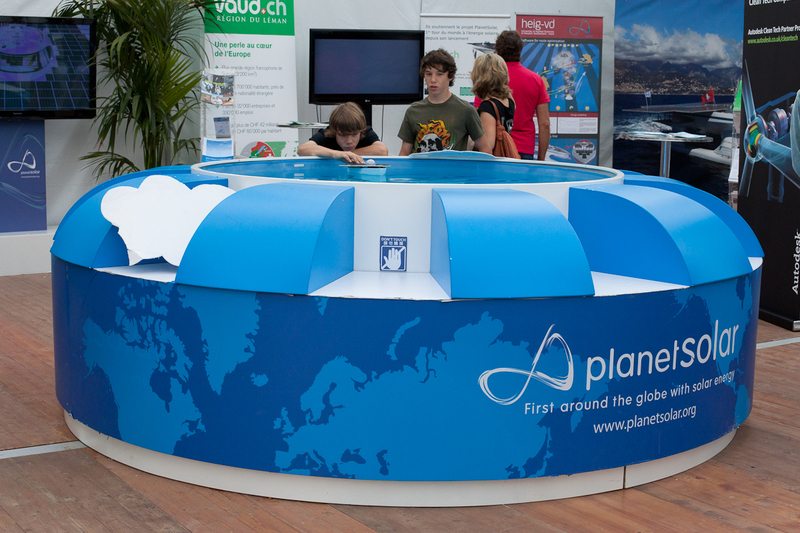 Planet Solar achieved its 60,000 kilometre journey around the world using the sun. 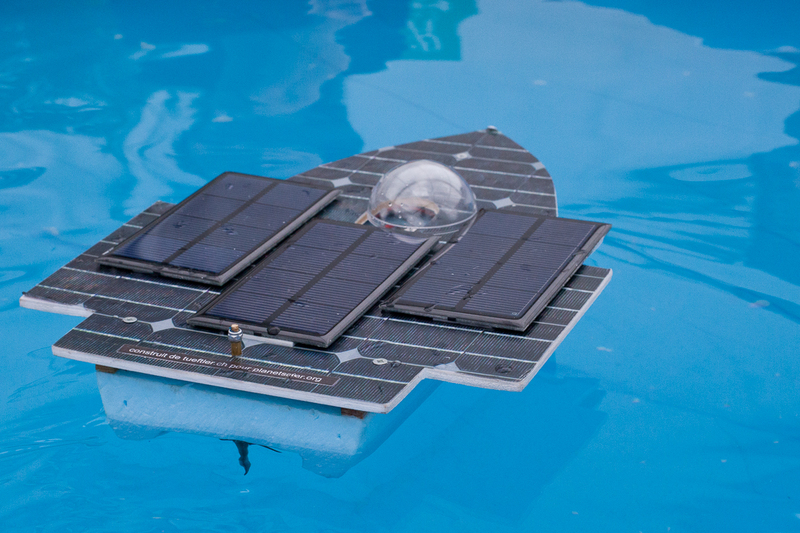 This model of the vessel whizzes along in the raised pool but as soon as the cloud is held over it, it stops. For this reason, there are batteries on board that store the energy ready for cloudy days and to produce light at night. This is an amazing vessel. Good for them for pioneering the use of solar, and good for you for spreading the news.